As part of my Sidney Myer Creative Fellowship, I arranged an inbound cultural exchange for two of my collaborators from Yogyakarta, Linda Marlina and Dhona Shintaningrum. This is part of my ongoing involvement with the arts and culture community of Yogyakarta, Indonesia. 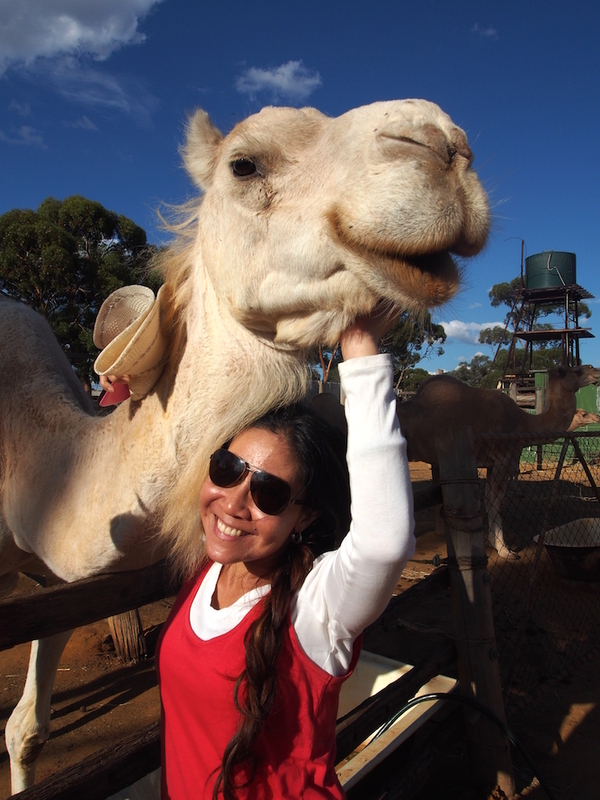 During two visits to Australia over five months, Linda and Dhona had a wide range of experiences in Kalgoorlie-Boulder and the Goldfields region, from joining the local roller derby club and participating in belly-dancing classes, to visiting remote salt lakes and the camel museum. 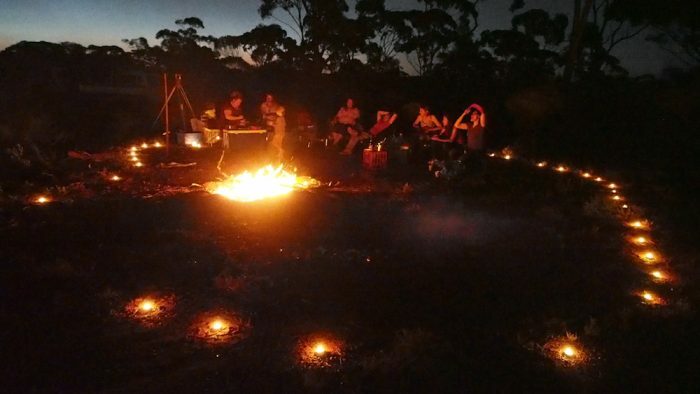 We experienced diverse cultural events, civic functions and sporting activities, as well as connecting to the Indonesian community in the Goldfields. Dhona and Linda also joined the Regional Arts Australia Summit, where they participated in the Summit Social Change Salon. Dhona had worked as the producer on Good Hair Days in Yogyakarta, and it was particularly exciting to connect this Indonesian-based project to the Australian event. Linda and Dhona also had the chance to reconnect with practitioners they met during Meta-Meta. For me, Dhona and Linda’s time here greatly assisted my writing and thinking on intercultural competency, as well as deepening my Indonesian language skills. Having guests of course also prompted me to visit places and attend events that I generally would not think to go to. I believe that reflecting on your own culture of origin is one of the hardest things to do; Dhona and Linda’s observations and questions about Australian culture during their time here were invaluable in helping me take that mental backbend. Thank you to the many people here in the Goldfields who made Dhona and Linda feel so welcome. 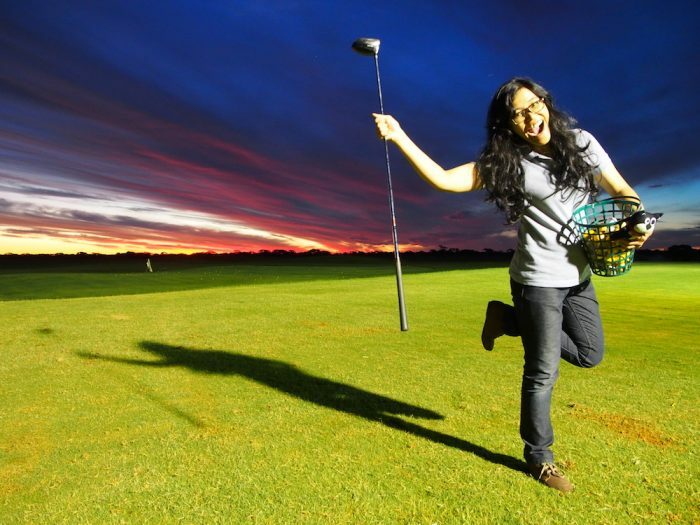 Images: Dhona enjoying the sunset at the Kalgoorlie Golf Course; Linda at the Coolgardie Camel Farm; Cooking kangaroo tails in the campfire under the Milky Way.